At the centre of the Ben Lawers National Nature Reserve, this range of hills is home to eight Munros all of which have a unique character and offer their own special appeal to walkers. Ben Lawers towers above all around, being the highest summit in the region, whilst the Tarmachan Ridge is a "must do" for any "bucket list". 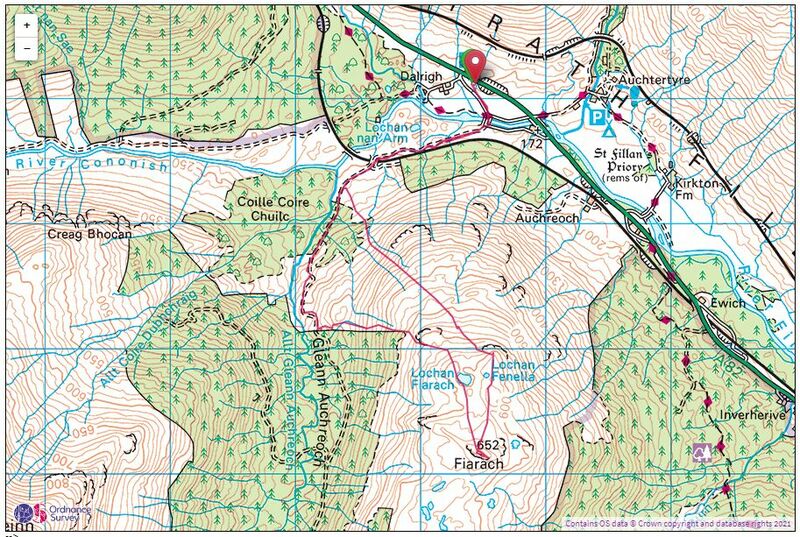 The majority of the Walk Reports are accompanied by the route displayed on a 1:50,000 Ordnance Survey map with the facility to download the route as a GPX file which can be imported into the majority of GPS units. Often referred to as "the spiritual home of Scottish mountaineering", Glen Coe is a wonderfully exciting area, dominated by the magnificent Buachaille Etive Mor. There are many challenges awaiting me there, as this is an area I have yet to fully explore. Leaving the A82 and turning southwest below the towering Buachaille Etive Mor, the minor track leading through Glen Etive to the head of Loch Etive is one of the most beautiful glens you can drive through, especially on a lovely summers evening. It is a truly wonderful experience, and here lies the towering Ben Starav which offers a challenge well worth the taking. Boasting a total of 21 Munros and 19 Corbetts this is an area which never fails to inspire, delight and excite where-ever you walk. The Cruachan Hills lie on the northern shoreline of Loch Awe, and offer extensive views to the Glen Etive mountains to the north and the coastal waters and islands to the west. Together they form the impressive Dalmally Horseshoe, comprising six tops in excess of 900m in height. Ben Arthur, more commonly known as The Cobbler is a Corbett which stands out among it's higher neighbours, the Munros of Beinn Ime and Beinn Narnain and sits majestically above Loch Long and Arrochar as the symbol and gateway to the area known as The Arrochar Alps.